Welcome to Seville, where the streets are full of life, cultural wonders, and an increasing number of visitors. The city now seeks new ways to manage its destination. How can Seville manage tourism growth in a healthy way to avoid the overcrowding of Barcelona and other cities like it? The new path forward for Seville will involve collaboration with its residents and industry to develop tourism sustainably. In advance of his participation at Destination Think! Forum in New York City on October 13-14, 2016, we spoke with General Manager Antonio Jiménez Ruiz of Consorcio Turismo de Sevilla. He described the challenges he and his destination marketing organization (DMO) face as they seek to encourage residents to be a part of the tourism solution and rebranding for Seville. Destination Think! : What are the main challenges and opportunities you see for destination marketing in Seville? Antonio Jiménez Ruiz: There are two important challenges. The first challenge is that the citizens of Seville don’t think of the city as a tourist city. This is very important, because Seville has a large tourism industry: 15% of the city’s economy comes from tourism. So the citizens need to consciously realize that we are an important travel destination. The other main challenge is to develop more air connections and transportation access. We would like to have more direct flights with Europe, and also with Asia and America. 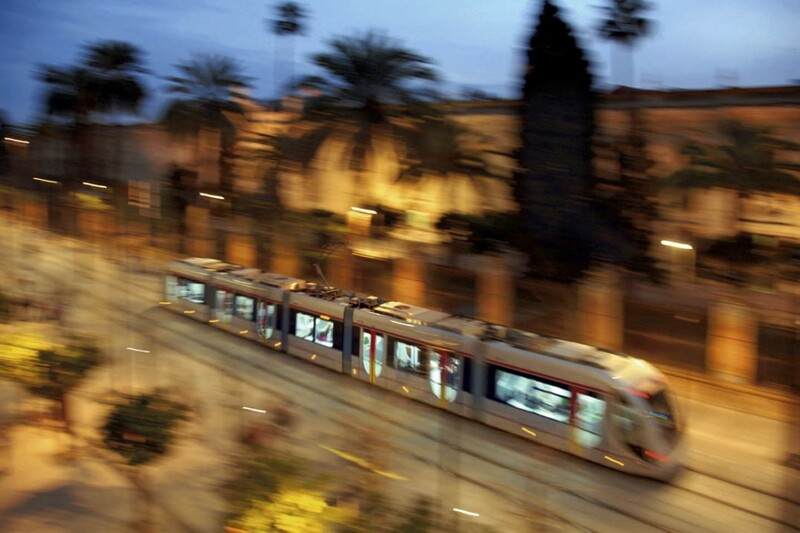 More train connections to Seville will also be important, and more pedestrian streets and digital systems. For me, the dream is to convert the city into a smart destination. Most importantly, we’d like to place Seville among the top tourist cities in Europe. At the moment, we tend to compare ourselves to our competition in Spain, but we would like to compete at the highest level with Rome, London, Paris, or Brussels. To create public-private management and collaboration groups to facilitate and expedite decision-making processes. To take opportunities to design a city that references its heritage and culture within the legacy that six civilizations have left behind in its history. Visitation has increased around 14% over last year, and we know that we will also see an increase over the next three years. For the European traveller, we are seen as a place to stay for three or four days within a very safe destination. Do you foresee any risks with the additional growth you expect? Barcelona has a big problem, as they’ve reached the ceiling of their tourism capacity. I think that Seville, in this moment, has the opportunity to make a strong strategic plan to avoid this type of problem in the future. To do that, we try to learn from other destinations and benefit from their knowledge. How do you think your DMO can add the most value to your destination? At this moment, we have to collaborate with the citizens and the city’s tourism sector to try to build a new brand for Seville. More tour operators are choosing Spain, so we know that visitation will grow for the next two years or three years, but we need to stop and build a strategic plan with the citizens to help everyone recognize that we are receiving more and more tourists. It’s very important to consider the beliefs of the citizens as we ask to build a new brand and a new tourism organization. Creating new job forums and new tools that facilitate professional development in tourism within a public-private partnership. Drafting new ordinances to ensure quality service, while penalizing those that operate outside the law. Forming alliances with other cities or destinations that allow us to strengthen our brand around the world. What do you think could be necessary in order to do make some of these changes? Our budget is about €2 million per year. As the city undergoes a big change to become a top tourism city in Europe and in Spain, we are studying the possibility of increasing the tourism taxes in the city, or other ways to increase the budget for the promotion of the city. This is one of the reasons we try to network with other cities about organization, promotion and marketing. Gain more valuable insights from speakers, panelists and participants from Destination Think! Forum 2016, where the world’s leading destination marketers gathered to address their greatest challenges. Read interviews with Forum’s Leading Thinkers. This is ridiculous. How can we avoid overcrowding as in Barcelona and then in the next breath, ‘Most importantly, we’d like to place Seville among the top tourist cities in Europe. At the moment, we tend to compare ourselves to our competition in Spain, but we would like to compete at the highest level with Rome, London, Paris, or Brussels.’ Brussels btw is not a top tourist city! And then, ‘Barcelona has a big problem, as they’ve reached the ceiling of their tourism capacity. I think that Seville, in this moment, has the opportunity to make a strong strategic plan to avoid this type of problem in the future. ‘ But not one single solution as to how he plans to do this. Only more, more, more: more money for promotion, more comarketing with other cities, more flights, more train connections, more pedestrain streets. The next Barcelona in the making. And then, ‘we need to stop and build a strategic plan with the citizens to help everyone recognize that we are receiving more and more tourists.’ Oh dear, will they ever learn? Thanks for the comment, Stephen. These topics are definitely worthy of debate, especially the impact of tourism on resident life. How can residents benefit from tourism, and vice-versa? Many destinations face similar challenges and are searching for solutions.